Houses For Sale Denver | Property For Sale Lakewood | Real Estate Search Littleton - Colorado Real Estate Co.
Real estate is a common investment vehicle. Although real estate investments present numerous opportunities to make money, they are far more hands-on than other investments such as stocks and bonds. Investors work in a couple of ways. Some like to buy properties at the best possible price, make improvements upon them, and flip them for a profit. 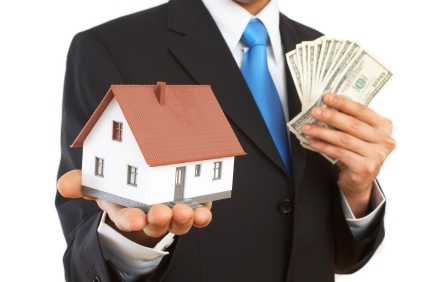 Others purchase homes with the sole purpose of using them as income property. You must consider two major factors when investing in real estate. In the short term, you need to be confident that the home will produce enough income to cover the expenses associated with holding the property. Your long-term strategy should involve purchasing a home in an area that has historically appreciated in value. Choose your investment property carefully. Ask your real estate agent to do a comparative market-value analysis of any home you’re considering to see how the price and amenities compare with those recently sold homes in the area as well as other properties on the market. Ask them to give you a historical analysis showing how homes in the area have appreciated over time. Find out if the neighborhood has a glut of rental properties or if the property you are considering will be one of the few tenants have to choose from. Buying an investment home is no more complicated than buying your own home. You’ll want to prequalify for a mortgage, which gives you better standing with the seller when you make an offer. You can work alone or with a real estate agent to find a home that you’re interested in buying and do your research regarding the comparative market value. Just as with any other real estate purchase, you’ll make an offer, come to an agreement with the seller, sign contracts, and close on the home. Beginning investors should seriously consider buying property near their own home. Dealing with tenants and service providers is much easier when the property in question is within driving distance. Only when an investor has gained enough experience to hire someone else to shoulder some of the day-to-day burdens of being a landlord does out-of-area property becomes a feasible investment. One important thing to remember is that real estate trends vary from area to area. While it might be a buyer’s market near your place of residence, in other parts of the state or country homes may be receiving multiple offers. Make sure you know what’s going on in any area before you consider investing. If you’re ready to make the leap and purchase an investment real estate property, please feel free to get in touch with us here at Colorado Real Estate Co. You can also use our real estate search function here.